Pioneers in the industry, we offer collapsible export box and seaworthy wooden packaging boxes from India. 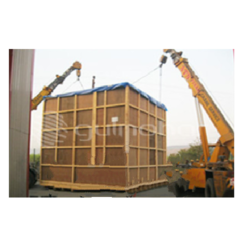 Engaged in offering a wide range of Packaging Materials services such asCollapsible Export Box, industrial palletization services, fumigation services along with wooden pallet, wooden crate, wooden box, polypropylene strap, stretch film, dunnage bags, bag packing machine, corrugated box, lashing shrink wrap. 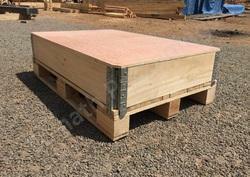 We manufacture and supply Seaworthy Wooden Packaging Boxes. Made from finest quality wood, the offered seaworthy wooden packaging boxes are known for their ability to tolerate harsh weathering conditions and high load carrying capacity. Used in the packaging industry, the offered seaworthy wooden packaging boxes are rendered by us in different sizes. Looking for Wooden Packaging Boxes ?